Saugatuck Tasting Bar! A look into what’s new on our block this summer! Kalamazoo poetry author, Jennifer Clark, will be reading from her newest book "Johnny Appleseed: The Slice & Times of John Chapman." 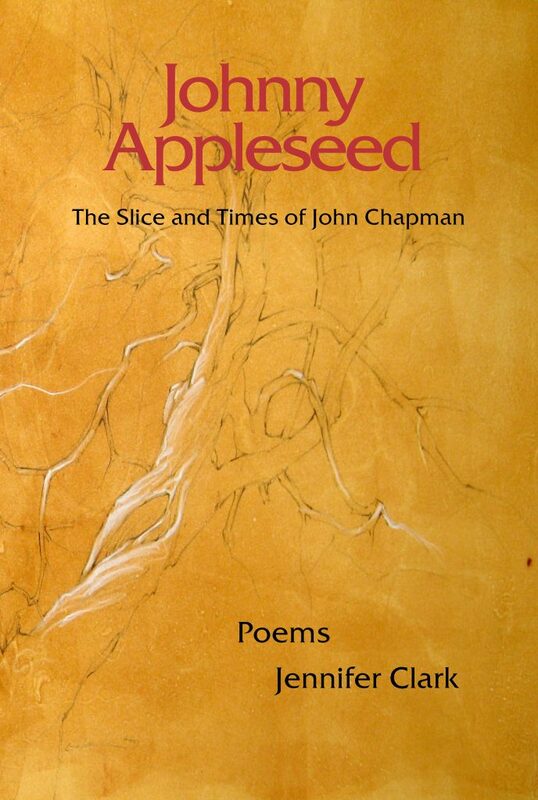 This lovely book is history entwined in poetry and while you will see that you know things about Johnny Appleseed, there is much behind the man, John Chapman. These events have sprung from the desire to help our local Fennville Elementary School start a rather ambitious fundraiser called National BookTrust. This program allows young students in our community to take home and keep books for continued learning outside of the classroom. We personally feel like nothing contributes to our kids education more than enabling them to learn to love to read! All of the proceeds are donated to the Fennville Elementary School’s National BookTrust program in hopes to keep this program going for our future leaders! Your ticket includes an amouse bouche, dinner & dessert, a signed copy of "Johnny Appleseed: The Slice & Times of John Chapman," poetry reading by Jennifer and a reader/author question and answer session. Beverages available for purchase at event. Guest Chef Christine Ferris & Michael Bild of Farmhouse Deli and Wine-Maker Eric Heavilin pair up to showcase the wonderful 2018 grape growing season in West Michigan. A meticulously paired 7-course dinner featuring our amazing new releases. You'll be introduced to new wines and old favorites that have been cellared since their initial release. 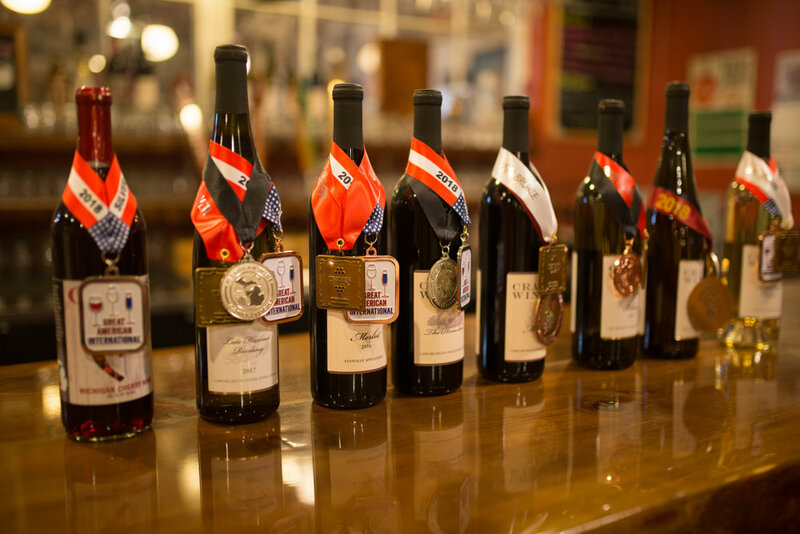 Not only will you get to try these wines during the dinner, but only if you're a ticket holder will you be able to purchase these limited wines to take home with you before the rest of the public! This summer, we will host beloved local author, friend and neighbor Wade Rouse. Wade will read from his newest fiction The Summer Cottage written under the pseudonym of his grandmother, Viola Shipman. Wade’s charm and wit and love for Michigan comes through in The Summer Cottage a story of attachment to beloved childhood memories, family and embracing the things that matter in life with an open heart. For lots more info on Wade go to his website www.waderouse.com and check him out! Our book readings sprang from the desire to help our own Fennville Elementary School with an ambitious fundraiser started called National BookTrust. This program directly benefits young students in our own community by giving books to them to take home and keep. Crane’s will donate all the proceeds from both events to our Fennville Elementary Schools for this wonderful program. These readings will include the book, a light meal and dessert, a book reading by the author and a book signing at the evening’s conclusion. For more information about the National BookTrust or to donate directly go to www.booktrust.org.